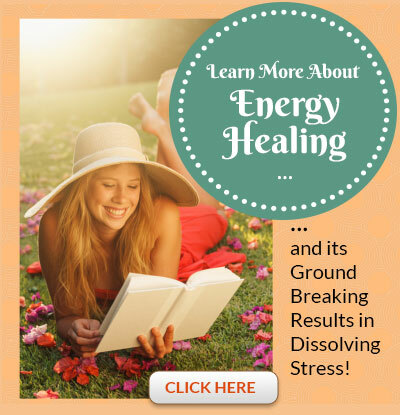 Get a step-by-step guide to use Energy Healing to dissolve feelings of overwhelm and stress in minutes. When you're feeling overwhelmed and stressed you can't think clearly and often it can be paralyzing. Imagine how much simpler life could be if you could instantly dissolve the feelings of overwhelm and anxiety. How awesome would it feel and how efficient would you be if you could move through your day feeling calm, centered, and focused? Download this simple audio today and learn how to activate a powerful energy technique that dissolves stress in minutes. It's presented in an audio format for your convenience so you can get the healing benefit and master it while you're on the go. Would you like to increase your productivity or enhance your leisure time? Learn why energy healing often works when nothing else will! Energy Healing is the answer for unloading emotional stress. Most people know what their emotional stuff is about, they just don’t know how to get rid of it. Now you can! In a recent study performed by Dr. Dawson Church, PhD and Dr. David Feinstein, PhD, it was demonstrated that after an hour of energy healing treatments people saw a 24% drop in their cortisol (stress hormone) levels. The other two groups, one receiving an hour of psychotherapy (talk therapy) and the other group receiving nothing saw no immediate change in their cortisol levels. The conclusion: Energy healing techniques quickly work to balance activity between the sympathetic and parasympathetic regions of your brain, producing "a neutral emotional state," the gold standard of health and wellness. Click here to read more about this study. What if you could shift out of painful emotion at a moment's notice? Can you imagine being free and clear of guilt, pain, worry, anger, frustration, ect. when making important decisions or trying to connect with family members or the people you work with? Can you imagine living your life free of guilt, pain, worry, anger, and frustration where making important decisions, connecting with friends, spending time with family, and interacting with coworkers is enjoyable? The "Smile Again, 7 Days to a Happier You" system teaches you how to work with the body's energy system so you can experience real relief and move forward with your life! Healing is a lifestyle and in order to fully reclaim your energy and move forward with your life, you need the skills and know-how to work with your body's energy system so you can clear the difficult emotion and heal the issues that tend to come up. Click here to find out more. Ginny Walker is an experienced healing coach and developer of The Smile Again: 7 Days to a Happier You system. E-mail Ginny Walker, call 435-592-5350 or send a text message from your mobile device.